BEACON, N.Y. - June 13, 2018 - PRLog -- Oasis Dental Care is pleased to announce a high standard in patient care with Cone Beam Computed Tomography (CBCT). CBCT scans improve the ability to diagnose and treat patients by allowing a full visualization of anatomical structures. 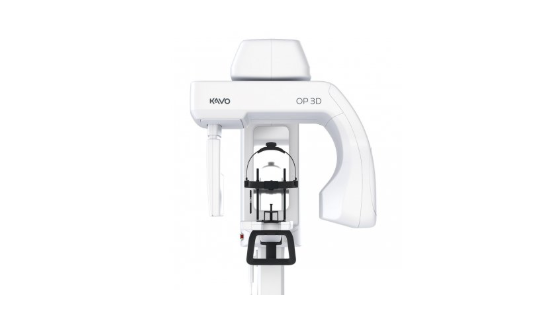 "CBCT technology provides us with the ability to see anatomy three-dimensionally in maxillofacial imaging, not available with standard 2-D x-rays," said Dr. Dan Rodda of Oasis Dental Care. CBCT imaging systems rotate around the patient's head and neck, capturing data. The data is reconstructed by a computer, and three-dimensional image of the patient's anatomy is created. This three-dimensional imaging helps assist the dentist in treatment for patients in need of dental implants, removal of difficult impacted teeth, TMJD treatment, airway issues, endodontics, and many other facets of dentistry. Total radiation doses from dental CBCT scans are lower than medical CT scans which cover a wider area. Dental CBCT scans typically deliver a little more radiation than conventional dental x-rays. The radiation dosage from a CBCT scan can be as low as 1/10th of that of a medical CT scan, depending on the size of the image taken. The team at Oasis Dental Care is dedicated to building strong relationships with their patients that go beyond dental care. The staff and doctors at Oasis Dental Care are committed to providing gentle, quality dental care while integrating the latest technology and procedures. Watch Oasis Dental Care's latest video about their treatment options and approach to dentistry https://youtu.be/C2vx-2bkOsc. Oasis Dental Care is a general dentistry practice that provides restorative, cosmetic, and implant dentistry to everyone in Flagstaff, and the northern AZ region. The doctors and staff at Oasis Dental Care take pride in delivering quality dental care efficiently and comfortably by building trusting relationships with each patient. The team at Oasis Dental Care is committed to providing gentle, quality dental care while integrating the latest technology and procedures. Oasis Dental Care offers the following services: preventative dentistry, patient education, oral cancer screening, whitening, fillings, cosmetic dentistry, crown and bridge work, veneers, partial and complete dentures, root canal therapy (including molars), extractions (including impacted wisdom teeth), bone grafting, soft tissue grafting, crown lengthening, implant placement and restoration, pre-prosthetic surgery, oral sedation, nitrous oxide, occlusal guards, and limited TMJD treatment. Oasis Dental Care is committed to providing gentle, quality dental care while integrating the latest technology and procedures. Additional information about Oasis Dental Care may be found on their website at https://myflagstaffdentist.com. 3rd Annual Community Basketball Competition Scheduled For Saturday, March 30. Everyone Wins!